We’re in the dry period of gaming right now, and we’ll take whatever we can get to pass the time for new releases. When such a game happens to be a beta for one of the more anticipated games of 2015, we’ll jump on it like dishonesty on a politician/lawyer/your mom. 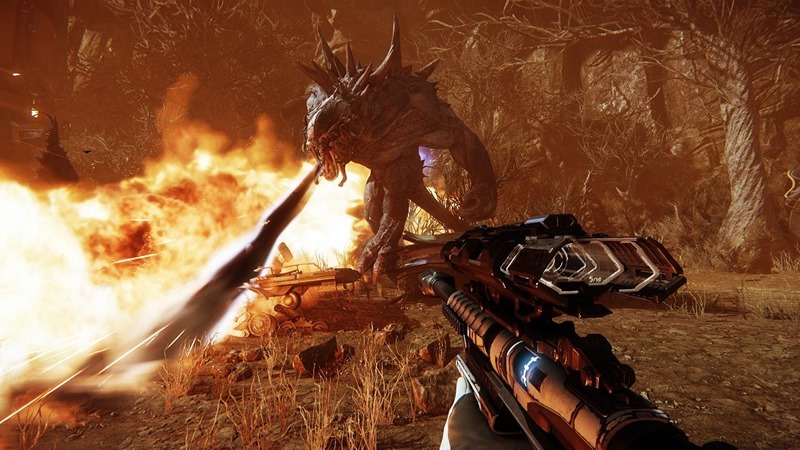 Right now, you can grab the open beta for Evolve on your Xbox One. And yes, it plays just fine, with minimal workarounds needed. Although we wish everyone could take part in the tests, players in the following countries will be unable to participate and provide us relevant testing data. As Evolve is primarily a multiplayer game, good internet service is a must-have. The final, retail version of Evolve will include additional peer-to-peer functionality so players around the world always have the best possible online experience of Evolve. Setting the console to USA however, did the trick for me. On an Afrihost address, matches and servers were easy enough, albeit massively slow to find, while getting set up with a game ran like the Flash on a WebAfrica account. As for lag, I can’t say that I experienced any whatsoever. The game itself ran buttery smooth, and I’m having a blast as a hunter and slaying Krakens. So there you go. Nothing to worry about.